Whether it’s to make your wedding an affair to remember or the perfect addition to any party or celebration, these special cheese creations are unique and feature selections from a wide range of artisan cheeses. We offer a very personalised cheese cake service to ensure your wedding or event is the envy of all - telephone us or come in for your own unique consultation - you’ll have the help of our knowledgeable staff who will work with you to ensure we find the perfect combination for your cake. The end result: for no additional cost, you will get your own custom-designed Cheese wedding cake that suits your taste, theme and budget. We know how to make them look beautiful and taste amazing. 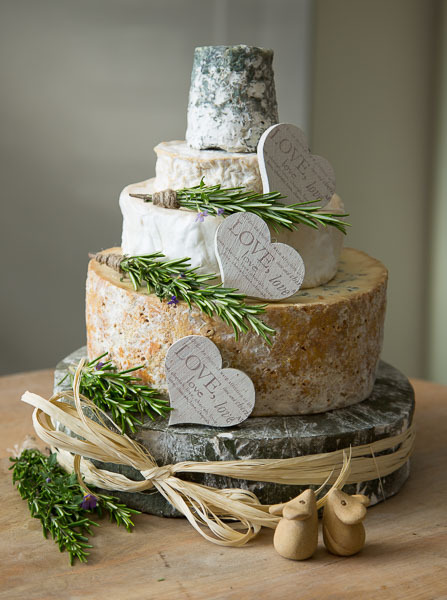 Feast your eyes on some Cheese wedding cakes below - these are just some of the many creative ideas that will help make it easier for you to choose.